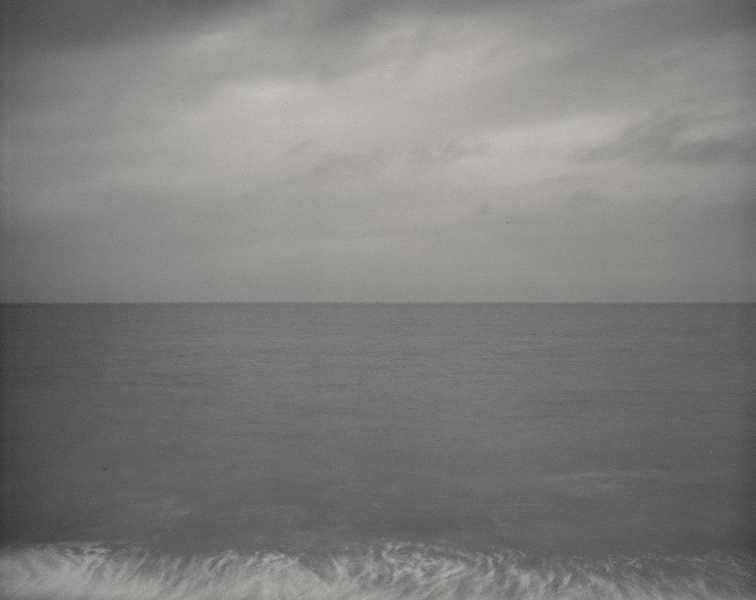 Born in Nelson, New Zealand in 1949 Laurence Aberhart currently resides in Russell, New Zealand. Although his photography has been associated with a specifically New Zealand vernacular (both in landscape and urban imagery), Aberhart's subject matter has broadened over the last 15-20 years. This is probably due to extensive traveling since 1988 (to the USA, France, Hong Kong, Australia, Macau and Japan) and to his underlying interest in the metaphysical, if not transcendental, which can be made manifest through the nature of the photograph. On the surface, Aberhart's photographs are documentary in that they record place but they have become increasingly concerned with the subtleties of what can be seen and encapsulated within the photographic image. The 'Last Light' series is, like all Aberhart's subjects, ongoing. The difficulties of capturing the delicate nuances of fading light over a landscape are well enough known as is the printing of such subtle tonal variations. Aberhart uses an 8 x 10" view camera and most of his photographs are contact prints, that is, they are not enlarged hence the exceptional detail and luminosity which is further enhanced through gold and selenium toning. 'Last Light with moon...' and 'Last Light, St. Andrews...' relate to impressionism, Japonism and therefore pictorialism though the effect is not achieved through any manipulation of the surface. As a consequence, Aberhart's work increasingly relates to the Japanese-American photographer Hiroshi Sugimoto in the shared interest in time and timelessness, place, the function of memory, and the action of light. Signed and dated l.r. corner, silver pen "L. Aberhart 1999/2003".